The robbery occurred on Saturday at around 12.15pm. 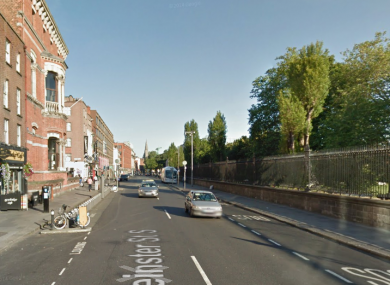 GARDAÍ ARE APPEALING for information following a robbery from a shop in Dublin city. The incident happened when a man armed with a knife entered the premises, threatened staff and made off with a sum of money. As he fled the scene, members of the public attempted to apprehend him. However, he made his escape in direction of Westland Row and it is believed he got into a taxi between Lincoln Place and Westland Row. The man was wearing a blue or navy puffa-type jacket. Gardaí are appealing for any members of the public who attempted to apprehend the man, who witnessed this incident, or may have videoed or photographed it to get in touch. Pearse Street Garda Station can be contacted on 01 666 9000. Information can also be given via the Garda Confidential Line on 1800 666 111. Email “Thief escaped by taxi after threatening shop staff with knife ”. Feedback on “Thief escaped by taxi after threatening shop staff with knife ”.